The Reference Guide — The Vilna Project, Inc. 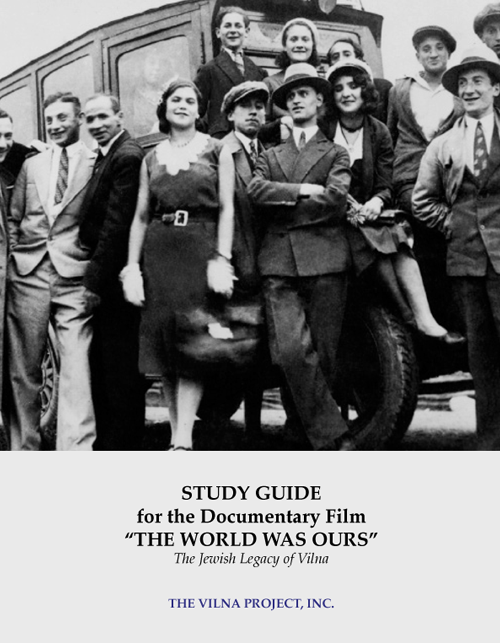 In 2015, The Vilna Project, Inc. released the Reference Guide for the Documentary The World Was Ours: The Jewish Legacy of Vilna, a 91-page guide that explores the history of Vilna beginning in the 14th century and spanning eight centuries into the present day. The guide explores key figures and organizations of Vilna's Jewish community along with cultural institutions, daily life, and defining moments in the history of Vilna. The guide features discussion questions at the end of each section, an 18 page-glossary, a suggested reading list and a timeline. The Reference Guide will be available through our website soon. Check back for details. Published by The Vilna Project, Inc.
© 2015 Copyright The Vilna Project, Inc.